These 5/8" perma-loc tape x layflat valves are an easy way to connect your drip tape runs directly to your layflat hose. 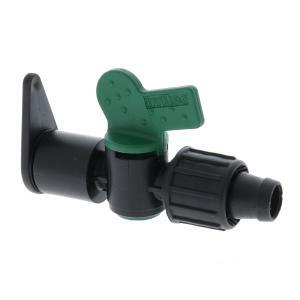 Provides easy on/off functionality to each drip tape run for complete control of your irrigation needs. You will need to use Irritec's orange handled 14 mm layflat cutter (B5-CLF14B), item# 1791, to make the correct size hole in the layflat tubing.